As the refugee crisis literally riots across our newsfeeds, I am thinking about a different moment in the history of migration. In 1956 Hungarians demonstrated to restore democratic processes to government. The protests failed and the Soviet Union intervened by military force. Soviet Communism proved itself a malignant, brutal, ruthless force. Nobody symbolised this better than the thousands of Hungarian refugees who fled from political oppression and violent reprisal. The Red Cross, United Nations and other NGOs established relief camps at Hungary’s borders. Despite not intervening in the political conflict, the international community, including Britain, came to the aid of Hungary’s displaced people. Sound familiar? As current news pummels into my peripheral senses, I am horrified by vitriolic and insipid racism, and clueless as to how such crises are solved. Simultaneously researching the Hungarian Uprising has contextualised my impression of current issues. 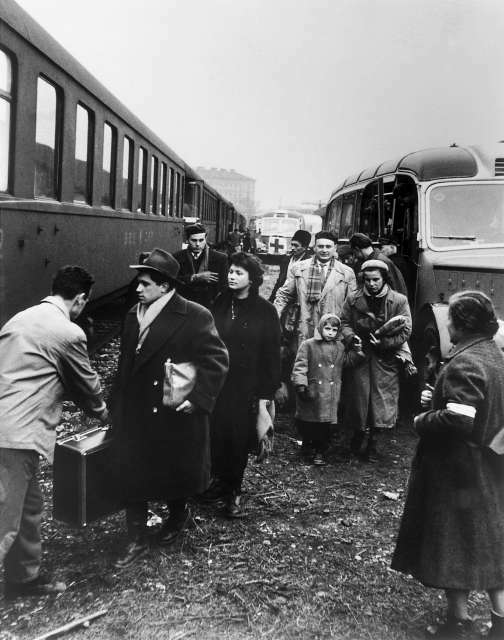 When David Cameron quickly penned a u-turn on his ‘tough on immigration’ argument, with a vein of British patriotism that highlighted a long history of tolerance and humanitarianism, I had in mind the reception of thousands of Hungarians to Britain in 1956 and subsequent years. Mr Speaker, the whole country has been deeply moved by the heart-breaking images we have seen over the past few days. And it is absolutely right that Britain should fulfil its moral responsibility to help those refugees just as we have done so proudly throughout our history. Of course the geopolitical, financial and domestic context is entirely different. But the principles on which public narrative dwells remain the same. Take one interview of mine, in which the respondent remembers rehoused Hungarians bringing diversity to Didcot. He was awestruck by an exotic new language in the area, interested in the presence of new children at school. Coincidentally, he collected Hungarian stamps, suddenly made real by the presence of people who had used them. He describes how this moment in his mid-teens vivified the brutality of political oppression and brought home the ways in which Britain might assist others in crisis. Similarly, reactions to stories of life-threatening migrant journeys to Europe have sparked public reaction and reflection. An ongoing oral history project from Eastside Community Heritage interviews Hungarian about their memories of these moments in Hungarian history. 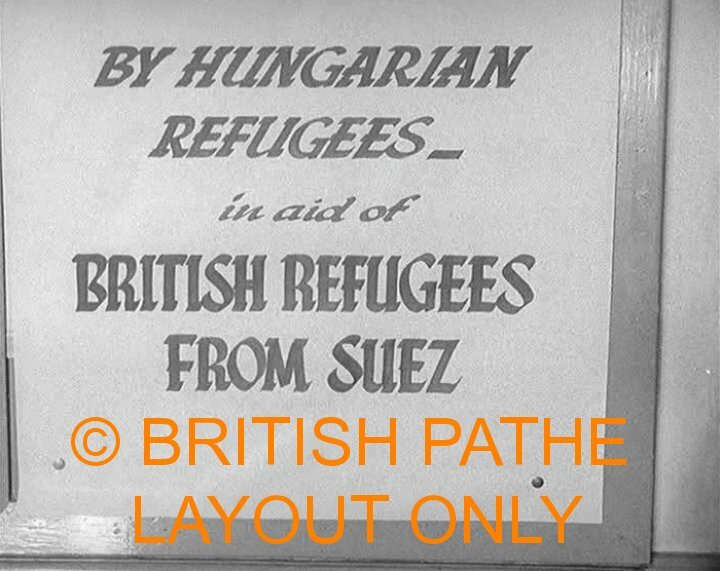 Some describe their flight from Hungary, and relocation to Britain. Their memories are mixed, not glowing reports of integration into British communities, but on the whole they remember a warm welcome, employment, and settlement. Their nationality was a marker of difference, yes, but not necessarily a marker of lower status. Some refugees didn’t even want to come to Britain (I know can you believe it?!) they wanted to go to Canada and America – in Limerick there was a hunger strike because refugees wanted out of Britain. At the moment it is regularly suggested that economic migrants are sneakily looking for ways to settle on Britain’s lush turf… What we seem to be forgetting is that while refugees might be grateful to Britain for shelter, most of them would rather be in their own countries or somewhere else. This small event serves as a reminder that Britain can be humble (sometimes). Speeches about a history of moral responsibility are all very well, but what is clear is that being human makes us most responsive to one another. It is worth bearing in mind that people become refugees by coincidence of birth and place. Worth cautioning that one’s British citizenship is just as coincidental and equally precarious as we consider how to receive people of other nations into the community. In the prism of Cold War history.